The Templeton Foundation awards the Templeton Prize to those who are working toward ‘progress in religion’, i.e. furthering the ‘study and worship of God.’ Its founder, Sir John Marks Templeton, was born in Tennessee in 1912, became a highly successful pioneer of global investing, and is now a British citizen living in Nassau, the Bahamas. The Templeton Prize intentionally has a higher dollar value than the Nobel Prize. Yet many of its recipients are hardly complimentary to historic Christianity in their conclusions. Indeed, it can be seen that their views are actually detrimental to the very foundation upon which Christianity is built—the Bible. The year 2000 recipient, Freeman Dyson, a self-professed agnostic, believes that if ‘God’ exists, he should be labeled a ‘sloppy manufacturer’, very similar to a claim by Carl Sagan. Those who believe that God created either by evolution (theistic evolution) or by successive acts over millions of years (progressive creation) have no good answer, but Biblical Creation teaches that imperfections are the result of the Fall. See The god of an old earth. Dyson also claims that ‘God’ must be impotent, as he has done nothing to stop famine, disease and suffering. This undermines the doctrine of an all-powerful, all-loving Creator God (see Religion award goes to agnostic!). Of course, Dyson is using this invalid argument: if God has not stopped these evils, then he cannot stop them. Rather, the Bible makes it clear that God can stop them, and will stop them in the future, in the new heavens and the new Earth, which will parallel the pre-Fall paradise in Eden with no more death, tears or pain (Rev. 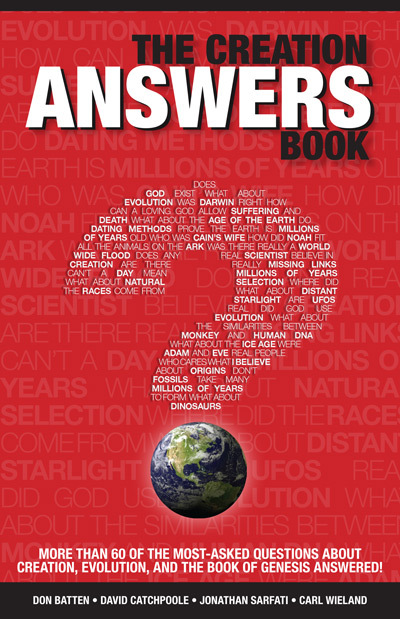 21:4) — see Q&A: Creation—Why it matters. But currently they are the result of God’s curse on creation because of Adam’ sin (Gen. 3:17–19, Rom. 8:20–22). Failing to distinguish between God’s creative and his sustaining works. God’s creation was finished by Day Seven when He ‘rested’ (Hebrew shabath = ‘ceased’ — Gen. 2:2–3); what we call ‘natural laws’ or ‘processes revealed by the sciences’ are our descriptions of the way God upholds His creation (Col. 1:15–17). Evolution is not one of the ‘processes revealed by the sciences’ — science is about observations in the present; evolution is a speculation about the past to explain the present without God. For example, Peacocke claims ‘… the evolutionary process is characterized by propensities toward increase in complexity, information processing and storage … .’2 But this contradicts accepted laws of science pertaining to information theory that state that encyclopedic quantities of information (as possessed by all living organisms) result from intelligence and not ‘natural processes’ — see Q&A: Information Theory. ‘The basic affirmation here is that all-that-is, both nature and man, is in some sense in God, but that God is, profoundly and ultimately, ‘more’ than nature and man—there is more to God than nature and man. God in his being transcends, goes beyond, both man and nature, yet God is either in everything created from the beginning to the end, at all times and in all places, or he is not there at all. Panentheism opposes Biblical Christian theism which states that the Creator and creation are distinct (Gen. 1, John 1:1–3), and that the essence of idolatry is giving worship to created things instead of the creator (Ex. 20:4–6, Rom. 1:23,25). In 1985, Peacocke founded the Society of Ordained Scientists, which now has 79 members, and is an ecumenical organisation supposedly bridging the Anglican Church and science. But Peacocke’ own writings show that it is really about subjugating Christianity to naturalism. Alas, Peacocke’ aberrant theology is not a single isolated instance among theistic evolutionary leaders; rather, trying to reconcile evolution with Christianity often leads to view of ‘God’ contrary to His revelation in Scripture. For example, panentheism is also held by Robert Russell, the keynote speaker at a 1997 conference organized by the Australian theistic evolutionary organisation, ISCAST (which amazingly claims to be evangelical) — see The Skeptics and their ‘Churchian’ Allies. Those who have received this redemption look forward to the restoration of all things, when the curse will be no more. It is in this way, that we will see a true ‘progress’ in spreading the message concerning the authority of God’s Word and the Creator who became our Redeemer. Dayton Daily News, Religion section, 13 March 1999. Return to text. Jones, Michelle J., Science, religion can coexist, speaker says, Arizona Daily Wildcat, 26 January 1998. Return to text. Peacocke, Arthur, Darwin: friend not foe, The Tablet (UK), 21 August 1999. To see why Darwin was most definitely a foe, see Darwin’s real message: have you missed it? Return to text. Myers, Rebecca, Biochemist-theologian unites Darwin and divinity, Christian Science Monitor, 9 March 2001. Return to text. Peacocke, A., God and the New Biology, J.M. Dent & Sons, London, 1986, pp. 96,99. Return to text.